Malaysia is a melting pot of races and religion, separated by the South China Sea, creating a country of diverse landscapes and culture. 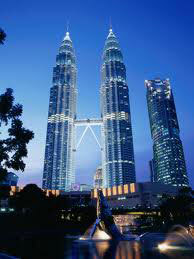 Malaysia has beautiful beaches, peaceful rainforests, exotic national parks, and bustling modern cities. Relax on a white sand beach, trek through the rainforest, or explore the capital of Kuala Lumpur. Of course you can’t forget about the Malay cuisine, a highlight for any traveler visiting this colorful country. Here a few travel tips and suggestions to consider when planning a trip to Malaysia. Malaysia is typically hot and sunny year round, making it the perfect destination to add to your Southeast Asia tour. Temperatures range between 90 °F during the day and around 75 °F at night. Humidity is also very high in Malaysia. Monsoon season on the west coast is from April to May and October to November. The east coast experiences monsoon season from November to February, with some resorts closing and boat services decreasing. Light showers come and go throughout Malaysia year round. With the warm temperatures you should be able to travel lightly on your Malaysia trip. If you plan to visit the hill stations, consider bringing a sweater for the evenings. Keep in mind that the country is predominantly Muslim, so you should dress conservatively. If you venture off the beaten track, keep your legs and upper arms covered. When traveling in larger cities, t-shirts and longer shorts are usually acceptable. 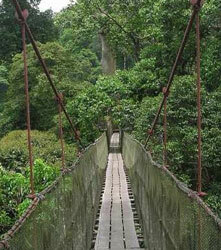 If you are traveling to the rainforest, bring a light raincoat and be sure to waterproof all your belongings. Long sleeve shirts and pants will help protect you from insects. With the immense amount of unique lodging options available in Malaysia, you’re sure to find what you’re looking for, whether it’s an eco lodge, boutique hotel, luxury resort, or budget accommodation. Here are just a few of our favorite lodging options in Malaysia. Hotel Maya is a boutique hotel featuring spacious rooms, a luxurious spa, and unique dining options, among many other facilities. It is located nearby Kuala Lumpur’s famous Petronas Twin Towers. The Datai is situated in the depths of the rainforest, with a private white sand beach on the Andaman Sea, and is adjacent to an 18-hole golf course. Providing a tranquil environment, the hotel has open-air walkways, offers romantic dinners on the beach, cooking lessons, luxury sailing through the islands of Langkawi, and jungle treks, among many other things. There is also delicious Thai, Malaysian, and Western cuisine available at the hotel. Enjoy a cocktail with a beautiful panoramic view of the Andaman Sea at this award-winning resort! 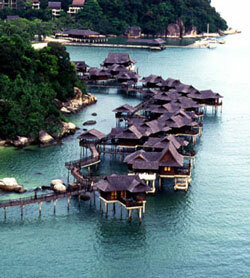 Pangkor Laut Resort is located on a small private island three miles off the West Coast of Malaysia. With no other resorts on the island, Pangkor Laut offers secluded bays, beautiful beaches, and colorful sunsets. The 300 acre island is largely untouched and undeveloped apart from the resort. Be sure to join a rainforest trek led by the resort’s resident naturalist. To make the most of your trip and understand the culture better it is helpful to have a general idea about the customs. Large cities and tourist areas are more liberal than rural towns and off the beaten path destinations. Seniority is very important in Malaysian society. The oldest male of the family is greeted first, sits in the best seat at dinner, and is the first to be consulted on any matter. If you are male, greet men first then the women. Most women will greet other women first. Sometimes women do not shake hands with males that are strangers. Public displays of affection are considered rude in public, and hugging and kissing among non-family members is uncommon. Drinks and snacks are always offered to guests. You should never refuse, at least take a small amount. Like many Southeast Asian countries, Malaysians remove their shoes at the door to keep from trekking dirt in the house. You may also want to learn a few key phrases before visiting. At most hotels and some large restaurants a 10 percent service fee and 5 percent government tax will be added to the bill. However, tipping is still appreciated, though it is not expected. Often times in restaurants, customers will just leave their change behind as a tip. A passport that is valid for at least 6 months is required for travel to Malaysia. Citizens of the United States do not need a visa if they are staying for 3 months or less. Buses are a great way to get around and are very inexpensive. There are many air-conditioned buses, which cost slightly more than regular buses. Some privately operated buses can be used for longer trips. Also, driving is Malaysia is much easier than driving in most Asian countries. The roads are fairly easy to navigate and are not as hectic as those in places such as Vietnam or China. Road rules are similar to those in Britain or Australia, meaning you drive on the left side of the road. If you are traveling to an island resort, there are ferries and boats operating between the peninsular and offshore islands. 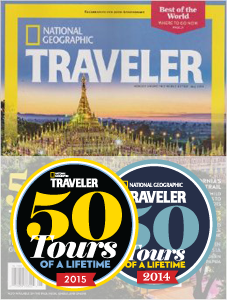 Need help planning your Malaysia custom tour? Call us at (866) 577-2462!